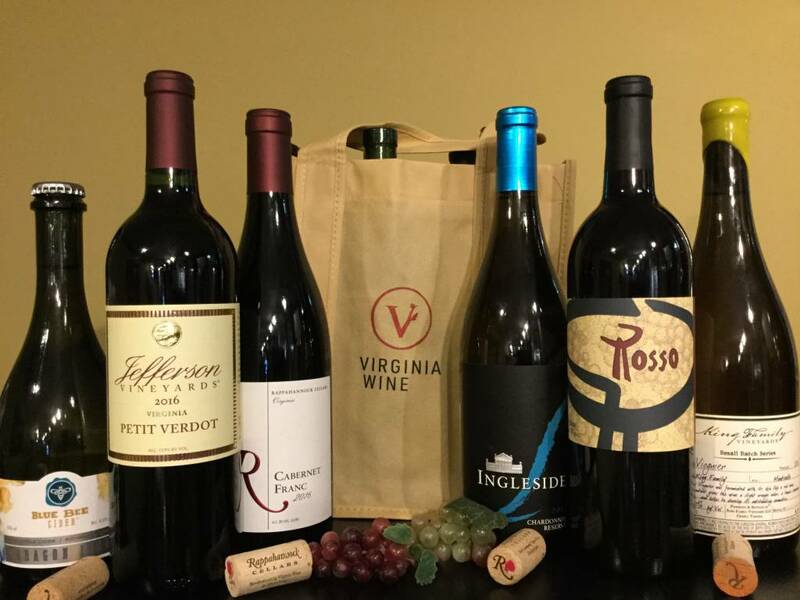 Exploring Virginia Wine – Going Beyond Bordeaux - City Vino, Inc.
October is Virginia Wine Month. Over the past 40-plus years, the Virginia wine industry has gone from virtually non-existent to 6th in the country in terms of production. In that time, Virginia has become a well-regarded producer of Meritage/Bordeaux varietals, especially Petit Verdot and Cabernet Franc. In the 2018 Virginia Governor’s Cup wine competition, 8 of the 12 wines in the case were Bordeaux varietals or blends, including the winner – King Family 2014 Meritage. As the wine industry in Virginia is maturing, a number of adventurous and innovative wineries are experimenting with varietals that move beyond Bordeaux. Tannat and Petit Manseng are native to southwest France but have made a new home in Virginia. Tannat’s thick skin and Petit Manseng’s loose clusters help reduce the potential for mold and rot which is common in Virginia’s humid climate. Moving beyond France, Italian and Spanish varietals are also finding a new home in Virginia. Nebbiolo, which is native to the Piedmont (meaning “foot of the mountain”) region of Italy, is growing well at the base of the mountains of Virginia. Gabrielle Rausse a native Italian known as the father of modern Virginia wine, is growing Nebbiolo around Charlottesville. Breaux Vineyards in Purceville won a gold medal in the 2018 Virginia Governor’s Cup competition for their Nebbiolo and Barboursville Winery won a silver medal for theirs. Albariño, a white wine grape commonly grown in the north-west region of Spain, known as “green Spain” because of the amount of rainfall, is well suited to our region where rain during the growing season is common. At least 5 wineries in Virginia are currently growing Albariño, including local winery Ingleside Vineyards, who won a silver medal for their 2016 Albariño. A number of smaller wineries are making a name for themselves by specializing in less-common varietals and regions. Ox-Eye Vineyards and Otium Cellars make wines from German and Austrian grapes, including Grüner Veltliner and Blaufränkisch. Brent Manor Vineyards and Morais Vineyards highlight their heritage by working with Portuguese grapes. As you explore Virginia wineries this month to experience the wide variety this state has to offer, make sure to use the hashtag #VirginiaWineMonth in your social media posts and enjoy exploring beyond Bordeaux! Sangria – olé in a glass! It’s a Bird! It’s a Plane! It’s Super Tuscan!